Read the notes that are being transmitted from a keyboard or sequencer. Information about velocity and pitch bend would also be nice. The Arduino is capable of producing sound on its own, so write/borrow some code and connect a jack connector to the Arduino and we're done. I own a Korg Monotron and supposedly they are very easy to modify. It would be awesome to be able to play it with a decent keyboard. Start with implementing MIDI out and go from there. It is good practice and part of the MIDI spec to use opto-isolation for MIDI in only. I've seen examples without it, but I'm not taking any chances when it comes to connecting to other MIDI hardware. I've found a MCT2E optocoupler which seems suitable. Got a protoboard and soldered 3 MIDI connectors onto the thing. Yellow / blue for MIDI connector shield. 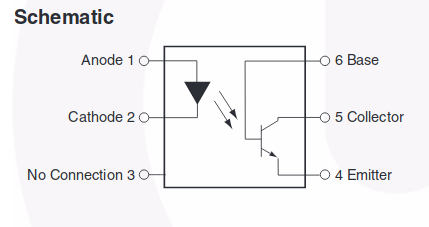 Pin 2 is also connected to ground but via a low capacity capacitor. I used 220pf ones.